Click to enlarge or download the file. 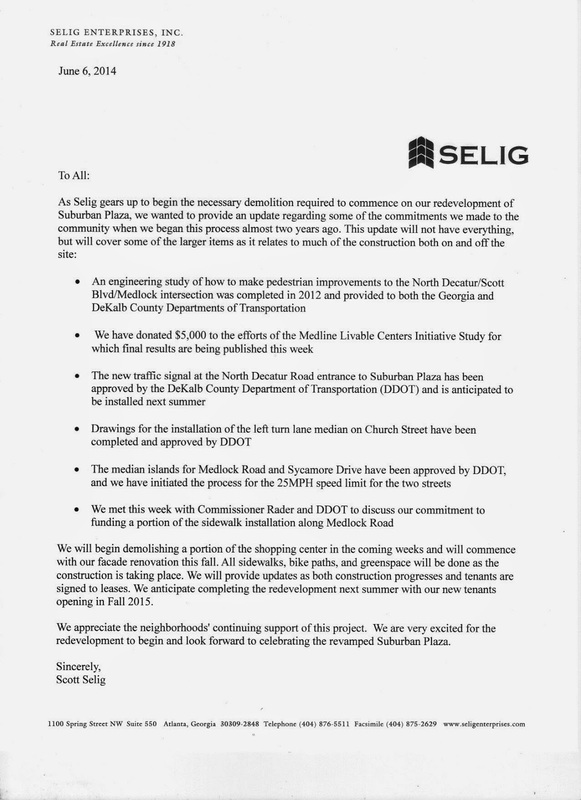 Selig and the Medlock Area Neighborhood Association (MANA) began discussing Suburban Plaza's redevelopment as soon as plans were announced in the summer of 2011, and in collaboration with members of the Cross-Neighborhood Committee, reached and signed this agreement on December, 2011. Selig also seeks community feedback on a special land use permit (SLUP) to allow a drive-through Starbucks at Suburban Plaza. The announcement for that June 24, 2014 meeting is available here.